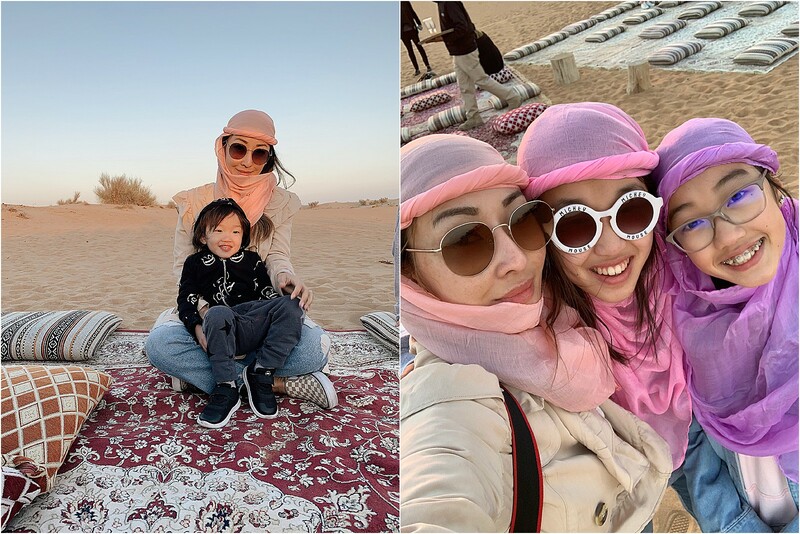 This is part 2 of the Dubai family travel series. You can read part one here. 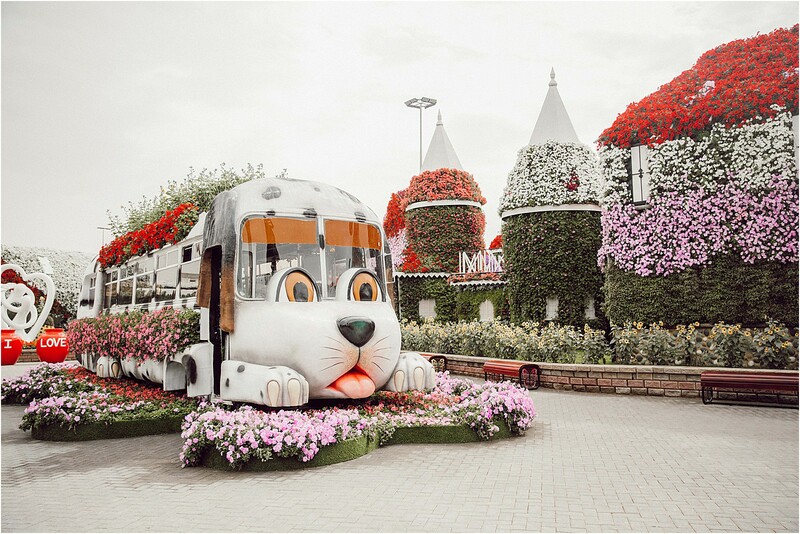 Dubai Miracle Garden is like fairytale dream come true for the flower lover. 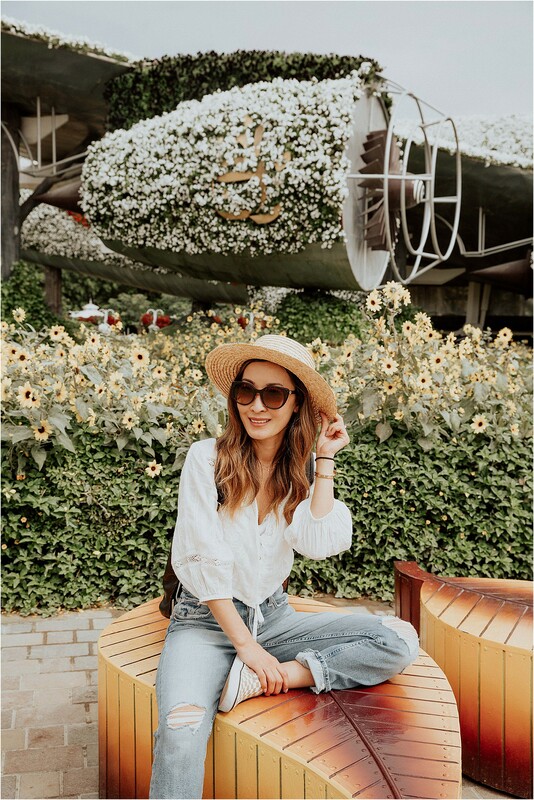 It’s also full of Instagrammable places at every corner. 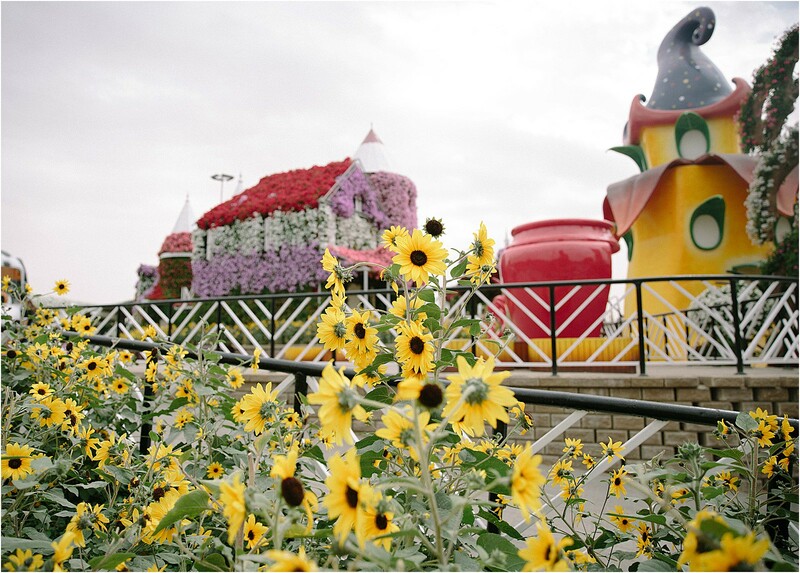 It’s opened from mid-November to mid-May and boasts over 72,000 sq space covered in over 150 million flowers arranged in colorful arches, patterns, characters and shapes. 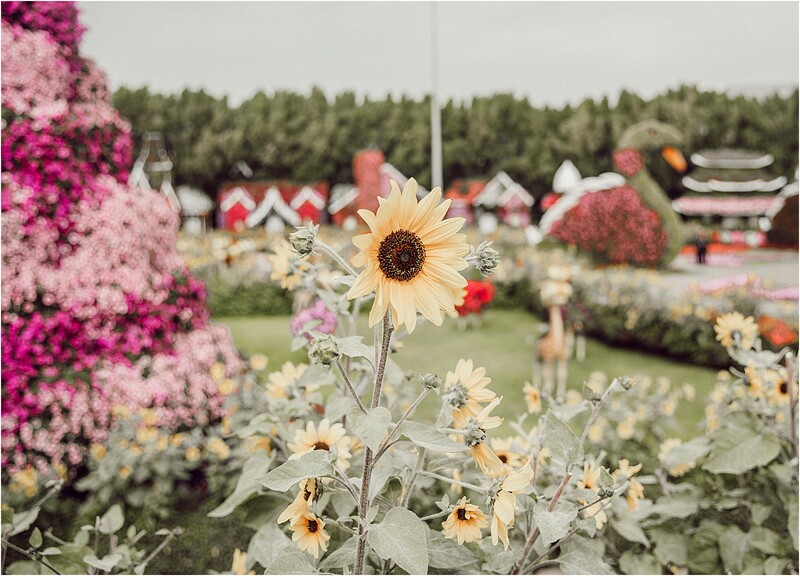 Dubai Miracle Garden is a must visit place if you’re here during the season. 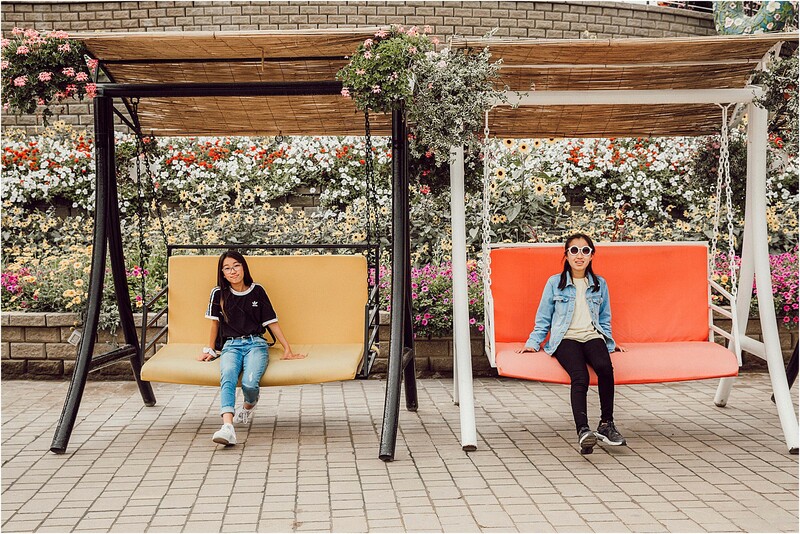 There are plenty of photo opportunities for the whole family and lots of space to run around, eat, and play around the park. 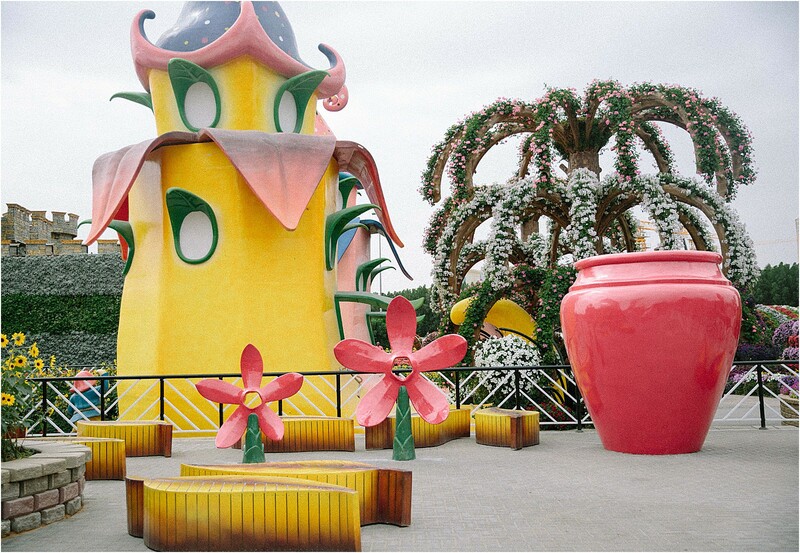 To this day, this is the prettiest flower park I’ve seen! 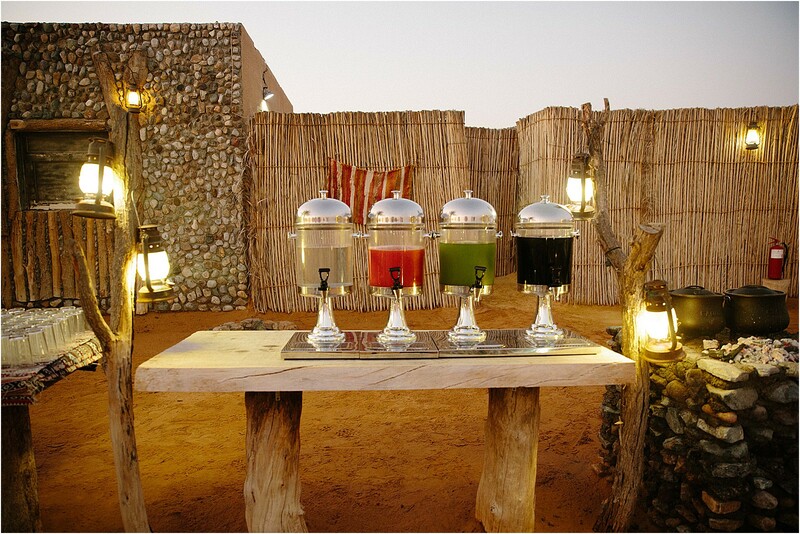 The desert safari at Platinum Heritage should be on everyone’s bucket list. 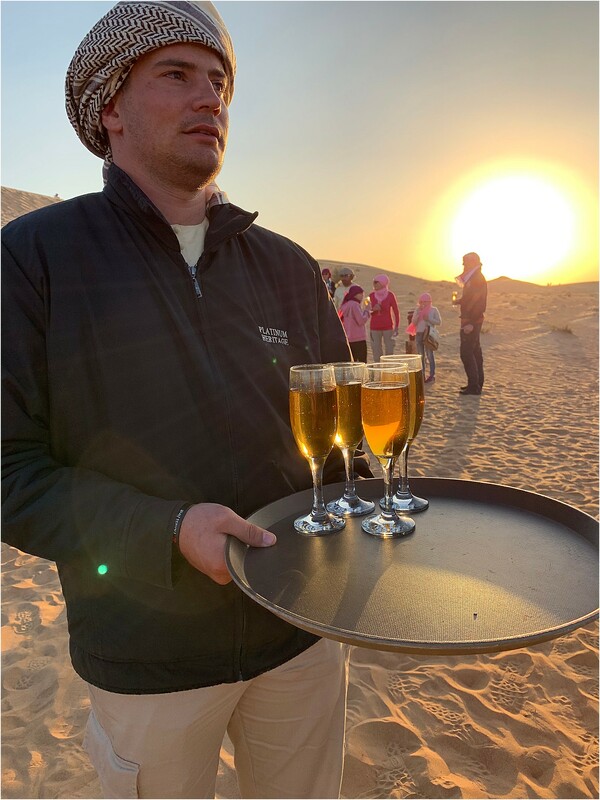 The entire experience was straight out of an Arabian nights fairytale from the desert view, the vintage Land Rover ride, to the desert camp and moonlit camel ride. 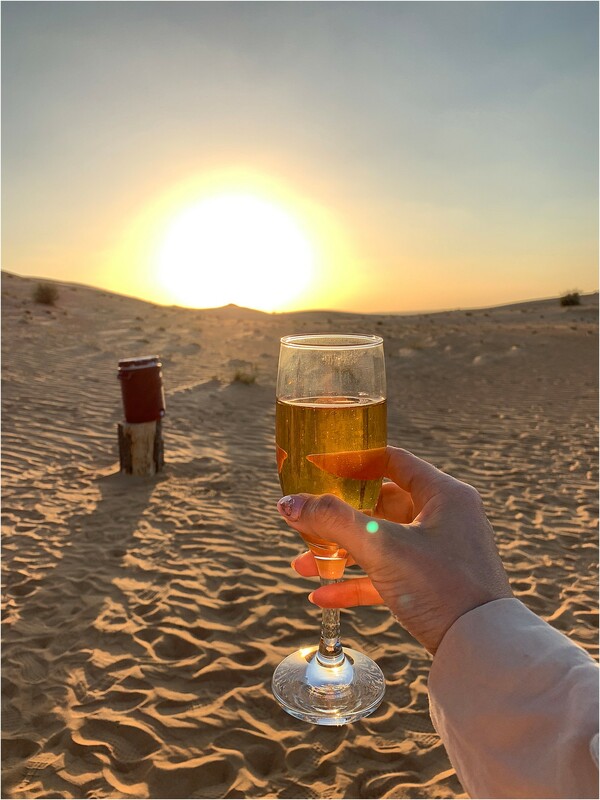 What’s really unique about the Platinum Heritage experience is that it’s the only desert safari with vintage Land Rovers and the only attraction that allows you to travel through the private land owned by wealthy Sheikh families. The best part is that the entire experience is so family friendly that my 2 year old toddler had no problem being a part of this tour. You can request a carseat for the jeep ride so your little one is safe during the drive through the desert and the camp even has a coloring table your kids can enjoy. Be sure to dress warm because it can get chilly in the desert and bring sunglasses to protect your eyes from the sand. We drove through the barren desert which was not as empty as I thought. 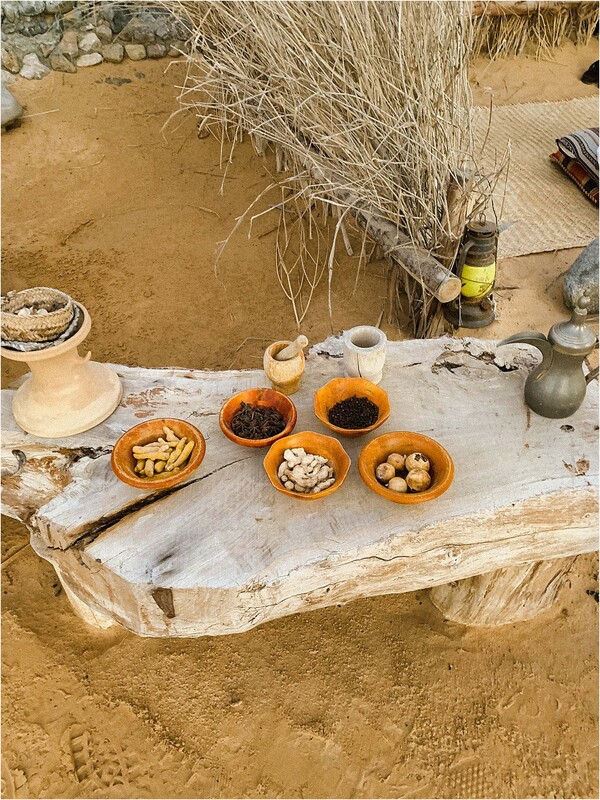 We spotted unique desert trees and plants as well as desert animals like hawks and gazelles. 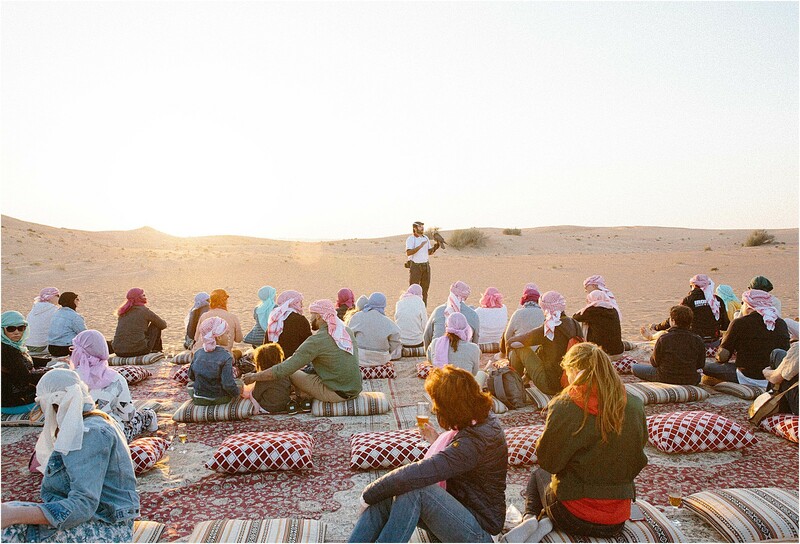 Our tour guide Ben did an amazing job explaining the desert life to us and really bringing the desert to life. 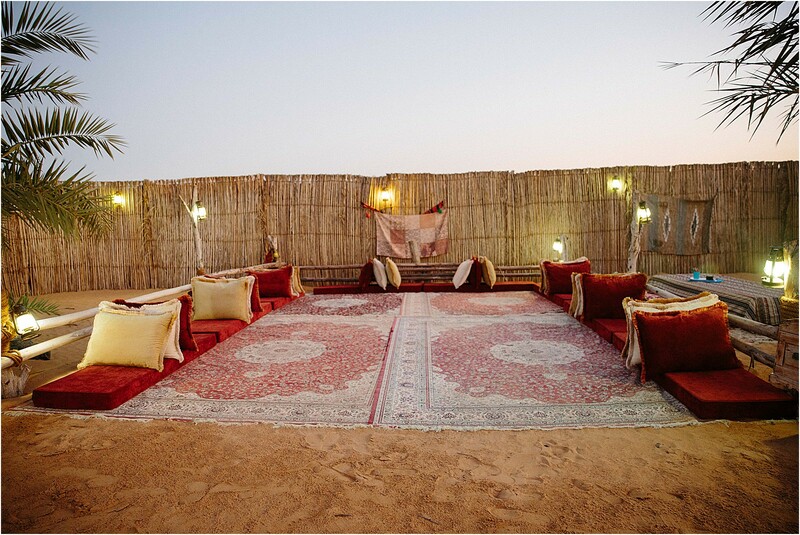 Our final destination of the desert safari was the camp. 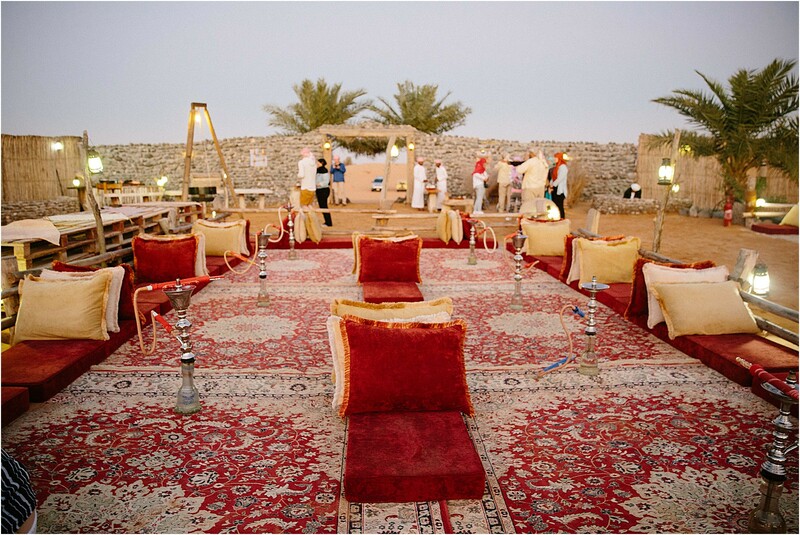 This entire experience is straight out of an Arabian fairytale and I still dream about this day. 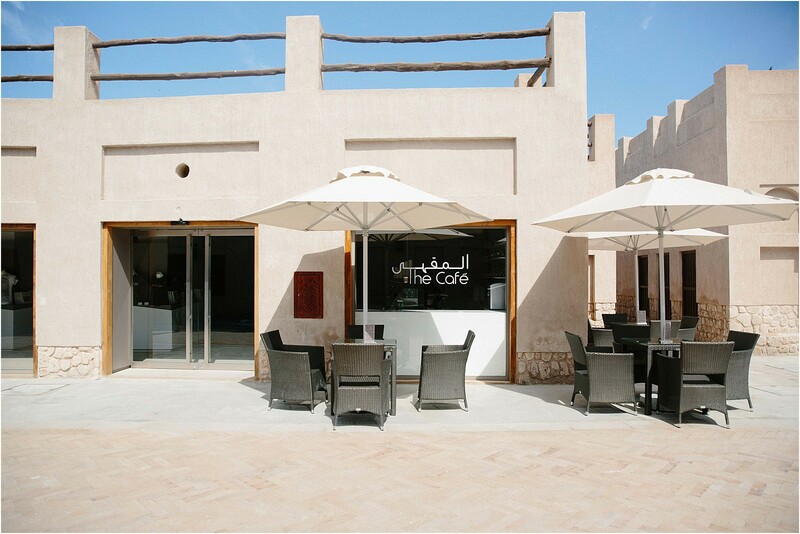 The camp contains a hookah lounge, coloring tables for kids, drink/food stations, henna station and a really clean bathroom. 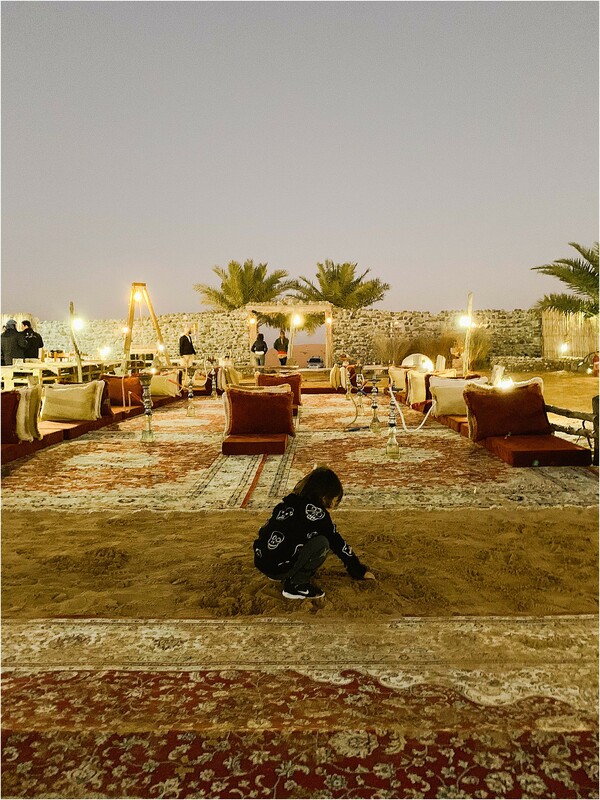 I still don’t know how Dubai manages to keep everything so clean, even in middle of the desert! 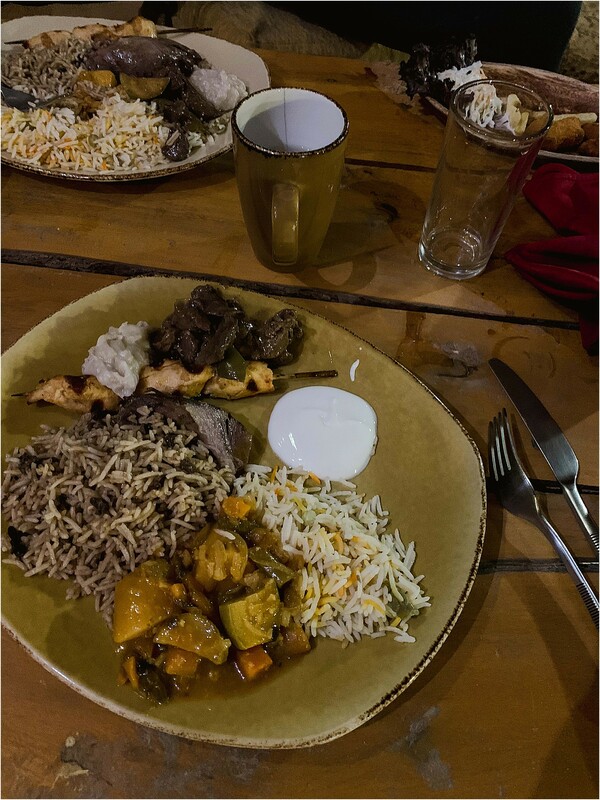 Our night ended with a delicious dinner of meat, rice, vegetables, various teas, coffee and camel milk. I even got my first taste of camel meat. My son loved playing in the camp digging for treasure (he’s really into dinosaur fossils right now) and soaking up the desert moonlight. 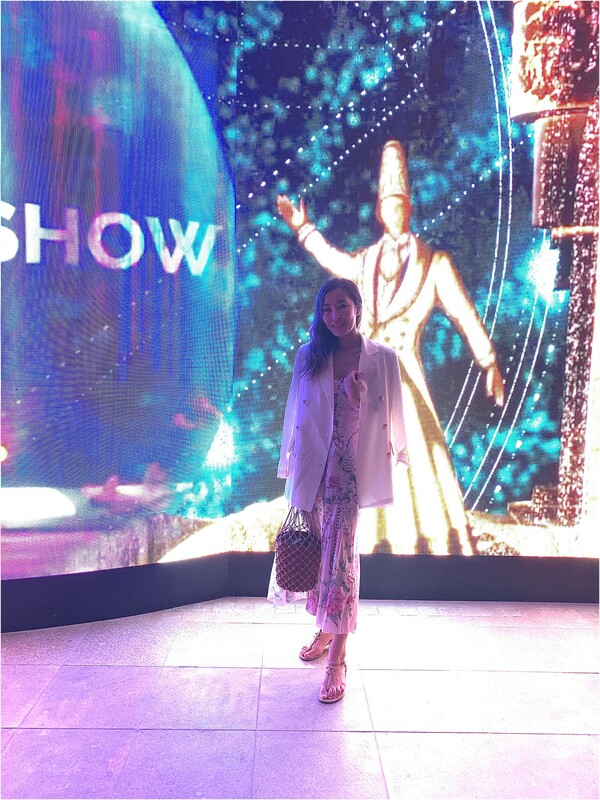 It was truly a magical experience, a night to remember for the whole family. 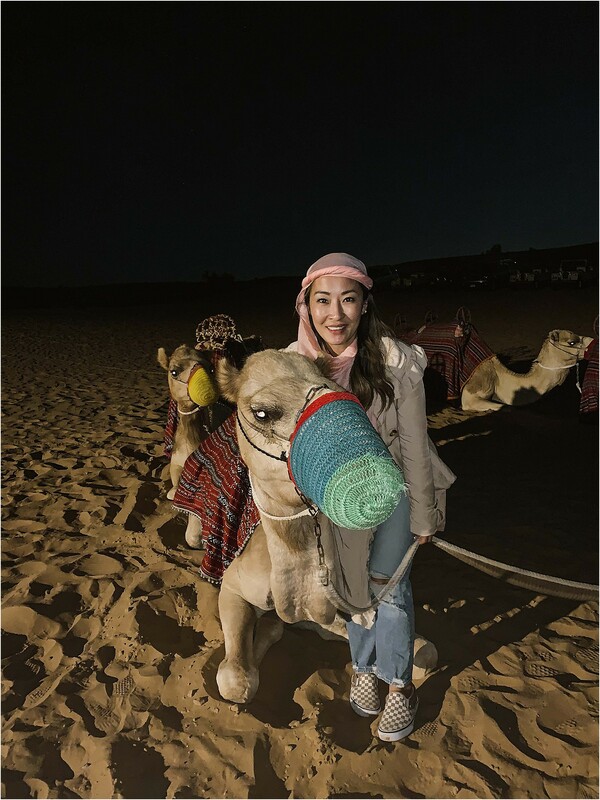 The feeling of riding camels in the moonlight is something I’ll never forget. The camels are so friendly and much taller than I thought. 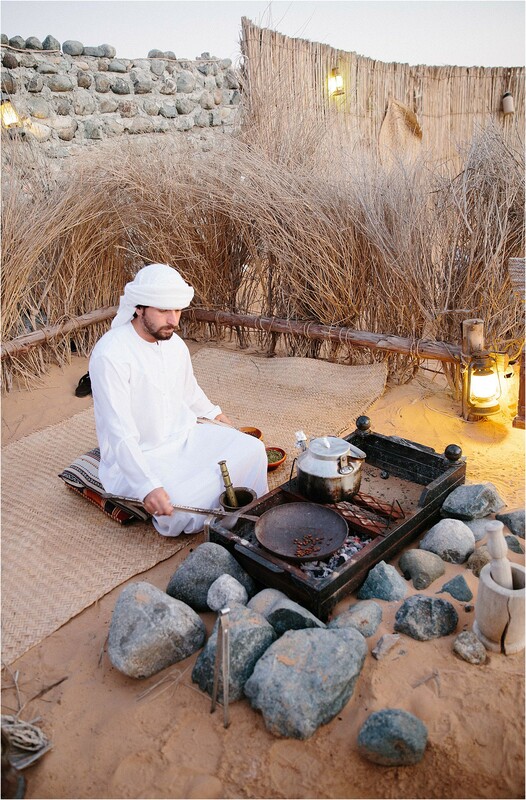 Desert safari @Platinum Heritage is an experience you don’t want to miss when visiting Dubai. 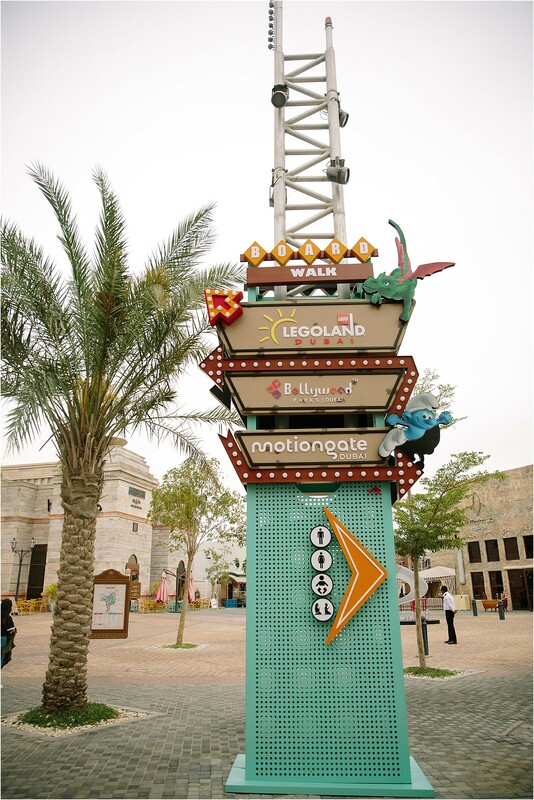 At Dubai Parks And Resorts, you can find various theme parks and resorts in one convenient location. 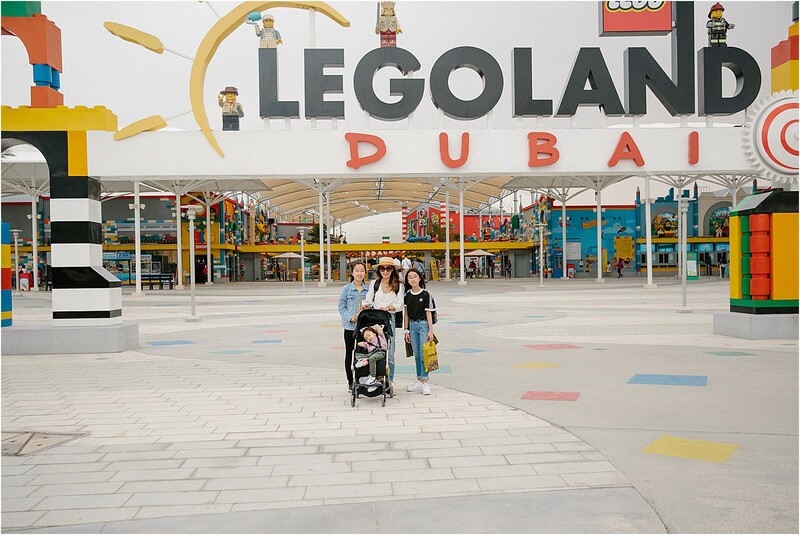 We got to visit Legoland Dubai and Bollywood Parks which is the only theme park in the world that’s dedicated to the popular Bollywood film. I became fascinated with Bollywood when I was studying film during college so I was so excited to introduce this film, music and culture to my kids. 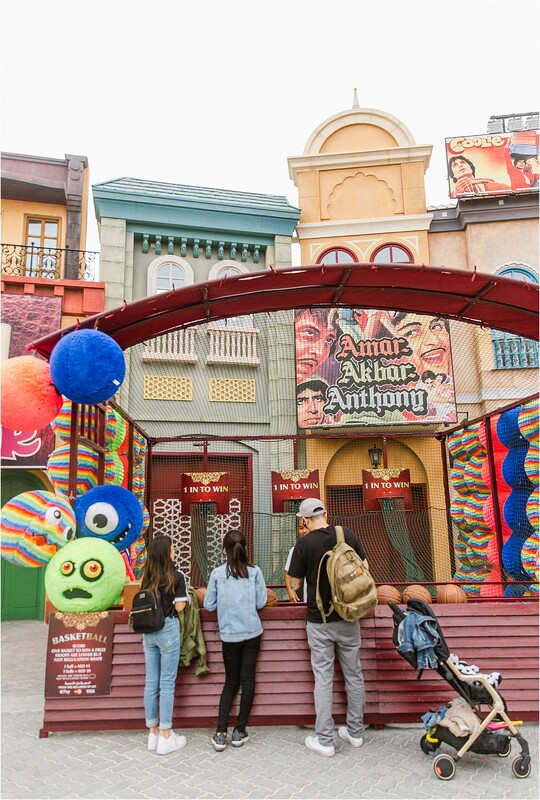 Bollywood Parks is the first theme park dedicated to this legendary film industry and is divided into 5 zones inspired by Bollywood blockbusters. 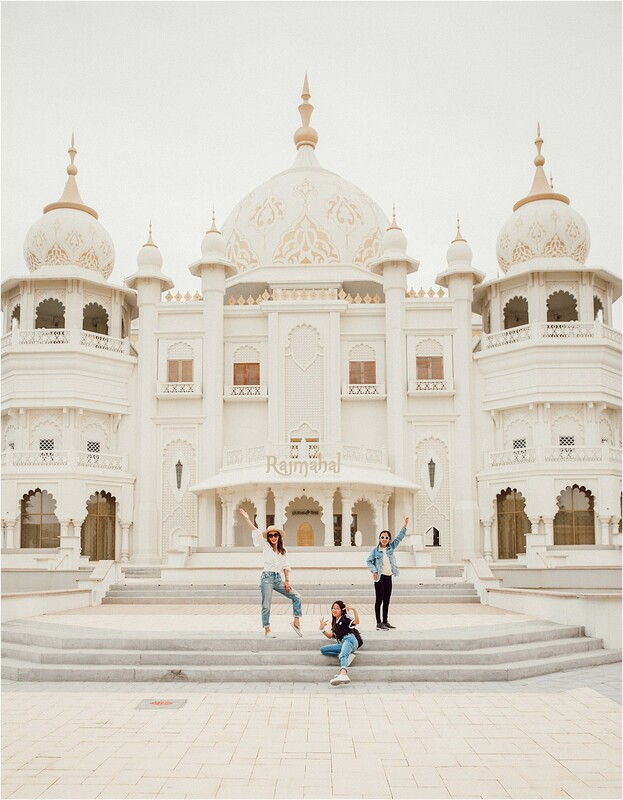 Here you can enjoy live entertainment, stage performances and flamboyant cinematic rides that allow visitors to get an insider look at the world famous Bollywood music and culture. 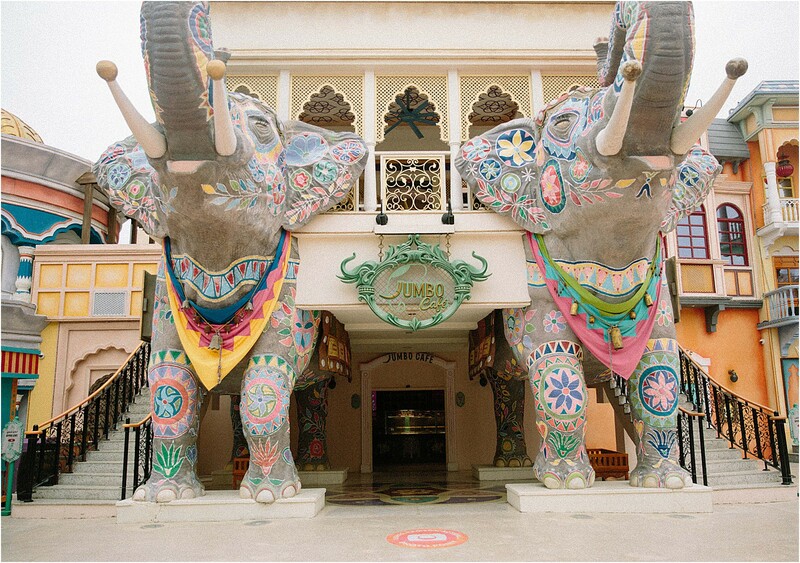 You can also play games and shop and dine at colorful structures that reflect true Bollywood spirit. 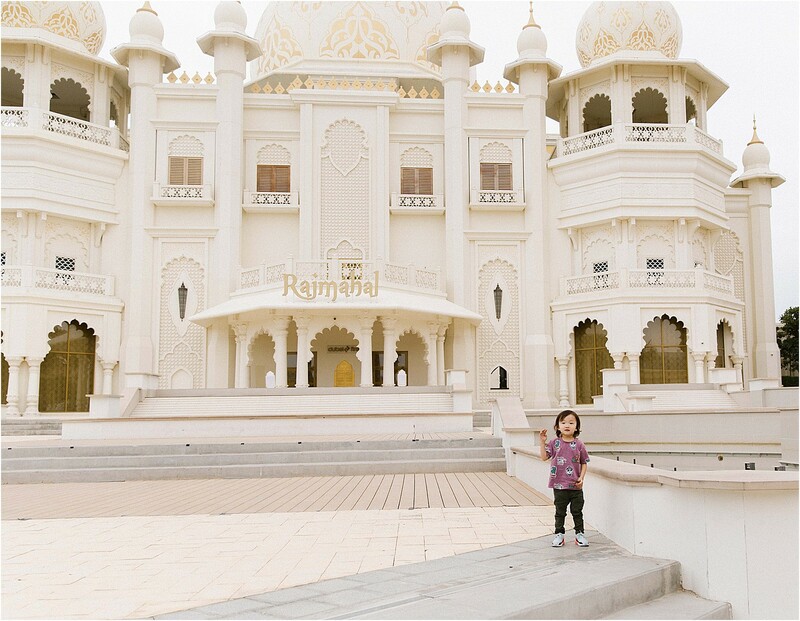 The Rajmahal theatre is an impressive architectural beauty that sits at the heart of the park. 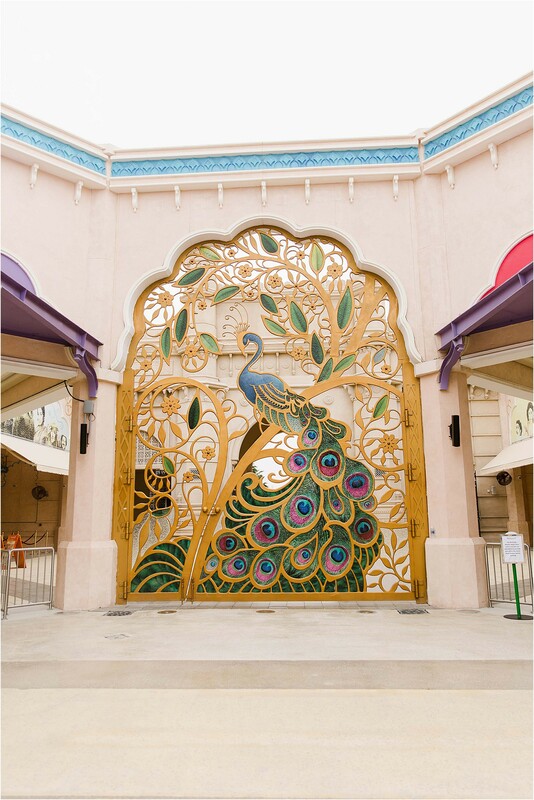 This is also the home to the Bollywood musical- Jaan-e-Jigar Musical hits. 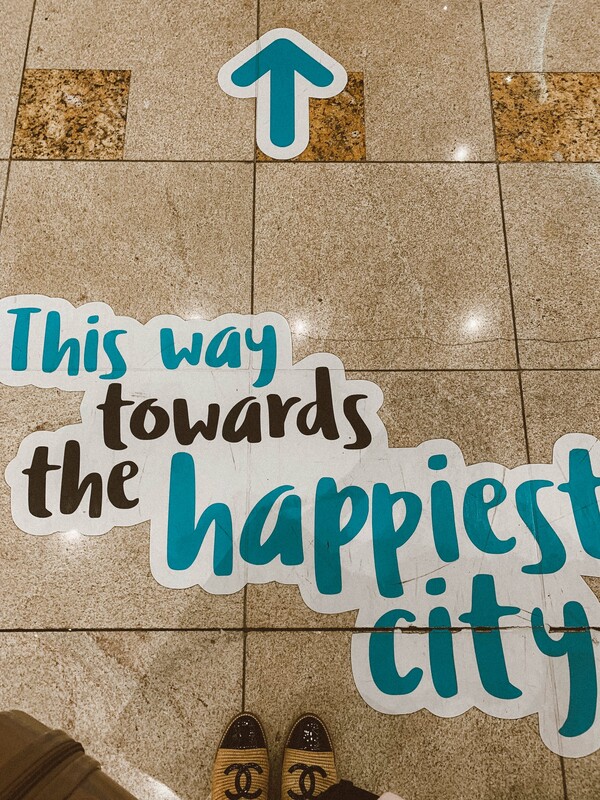 Living in So. Cal, we have been to Legoland San Diego many times but Legoland Dubai was totally different with unique Dubai lego displays and features. 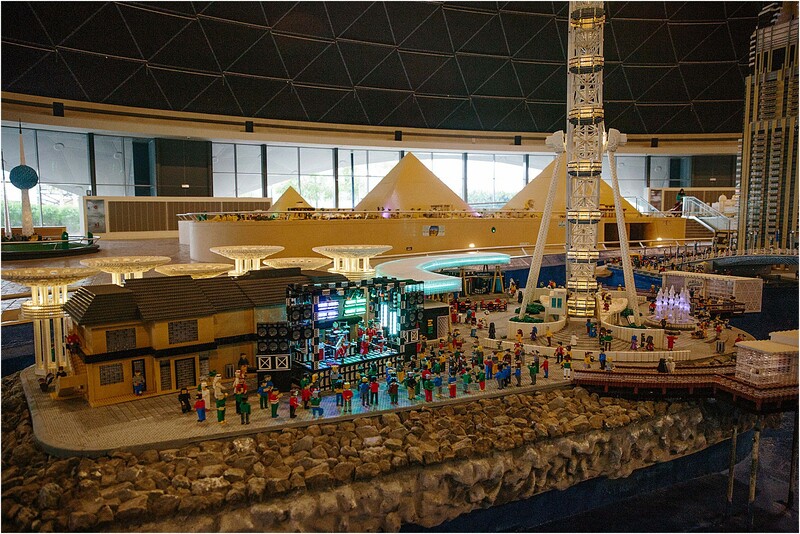 You can even find an entire city of Dubai made of Legos! 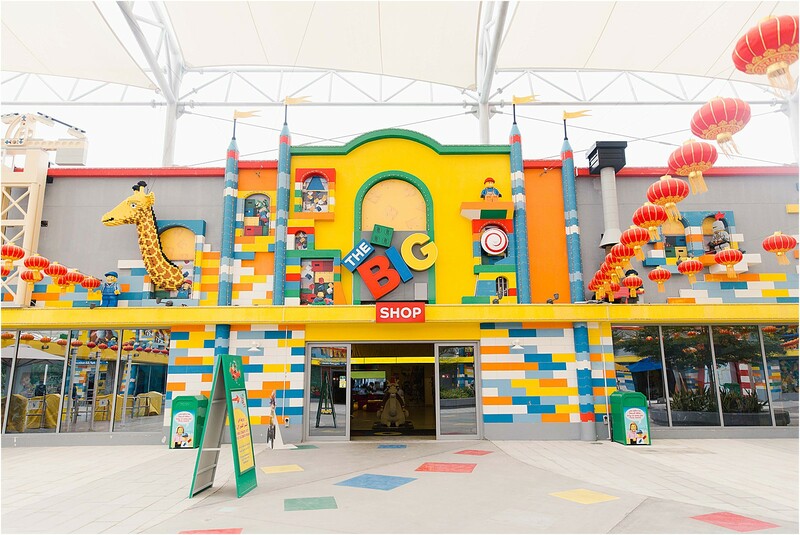 Legoland Dubai and Legoland Water Park offer hands-on experiences for children between ages 2-12 through interactive rides, water slides, models and building experiences. 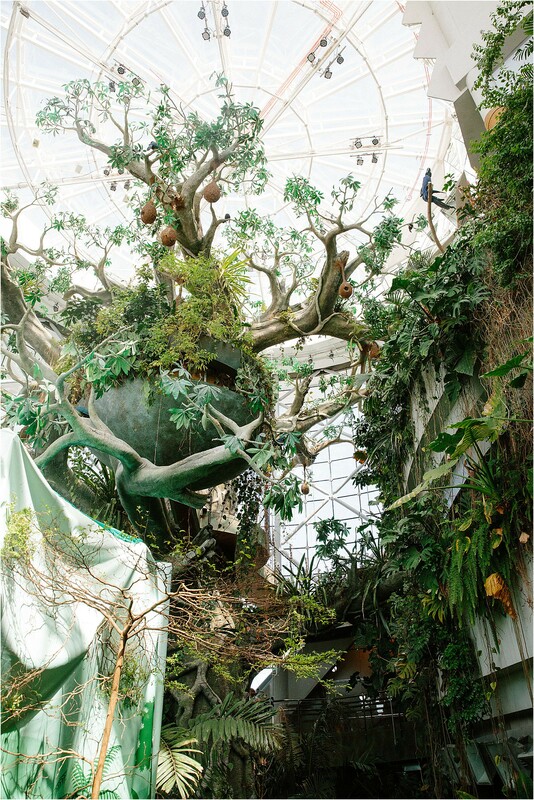 Who knew you can find a giant rainforest right in middle of Dubai? 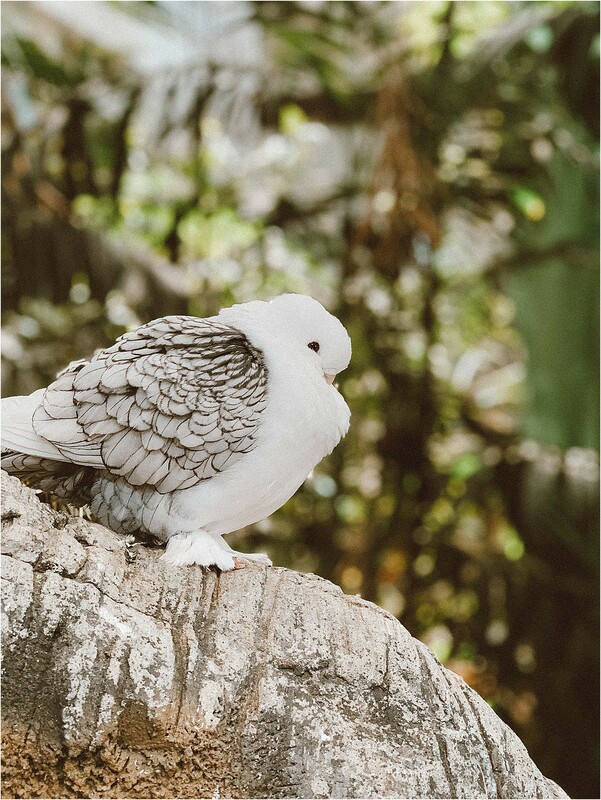 The Green Planet is a unique expedition in a tropical rainforest with over 3,000 plants and animals. 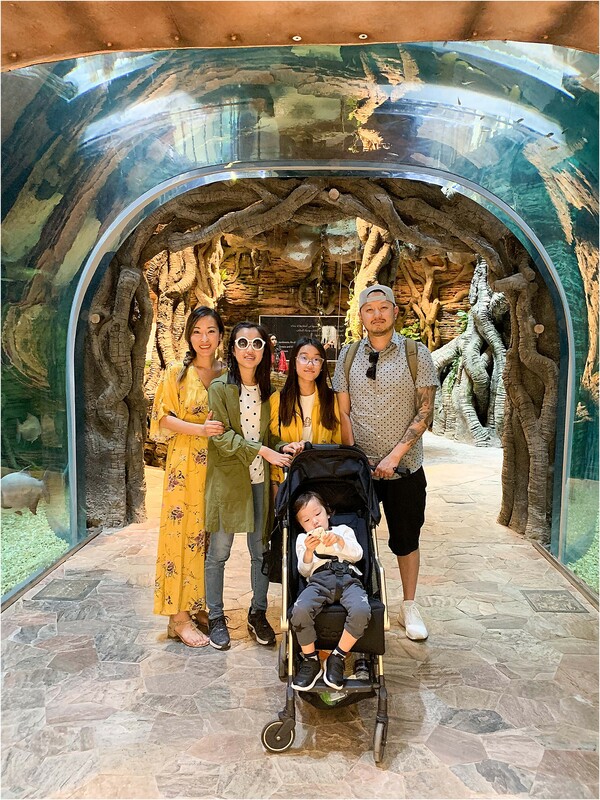 We walked into a bat cave, learned about the ant colony, touched the largest cockroach in the world and saw so many cool animals, reptiles, birds and insects. 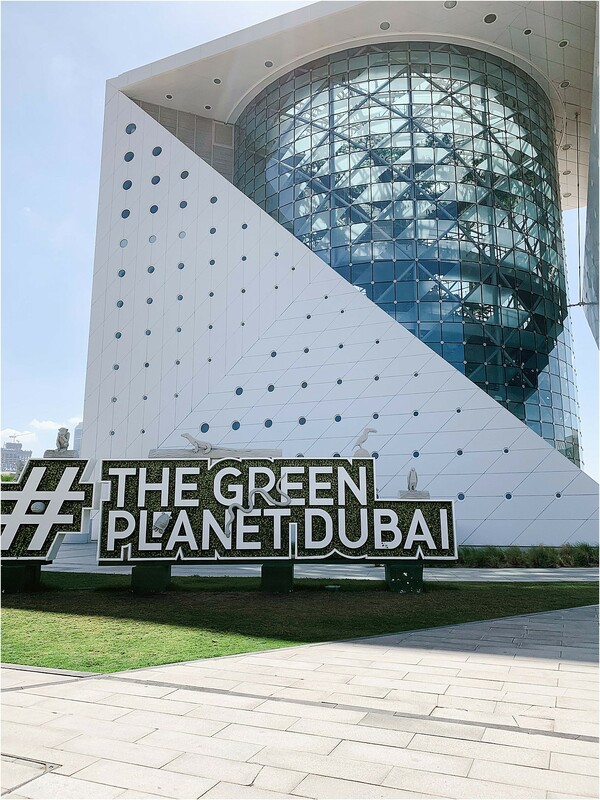 The Green Planet offers an educational and interactive experience for the whole family and the kids had a great time learning about new animals, birds and plants. 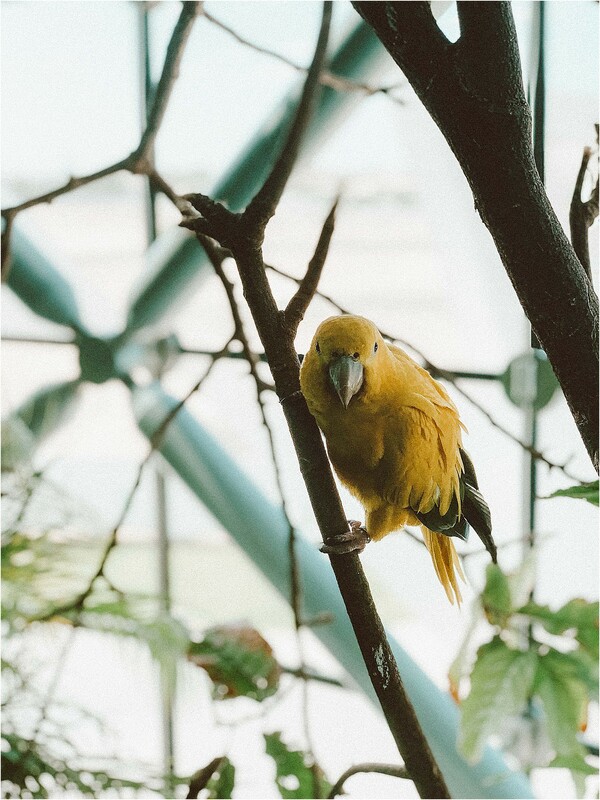 If you’re lucky you can even spot exotic animals roaming freely inside the rainforest! 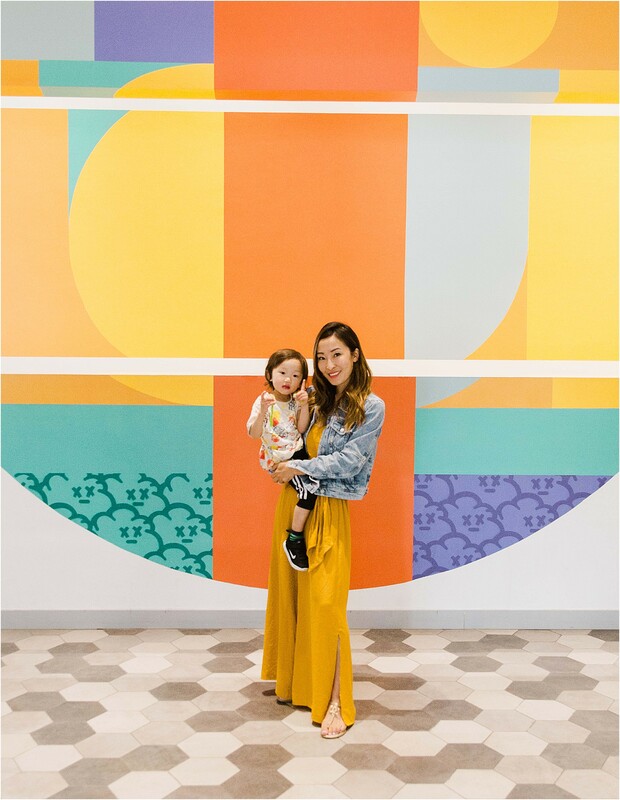 OliOli is such a cute museum for kids ages 2-11. 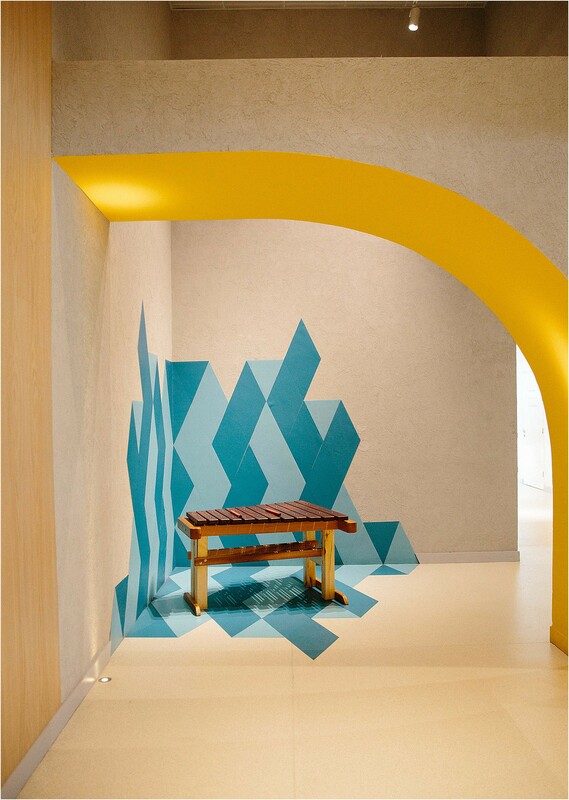 This experiential play museum features eight galleries spread across two floors. 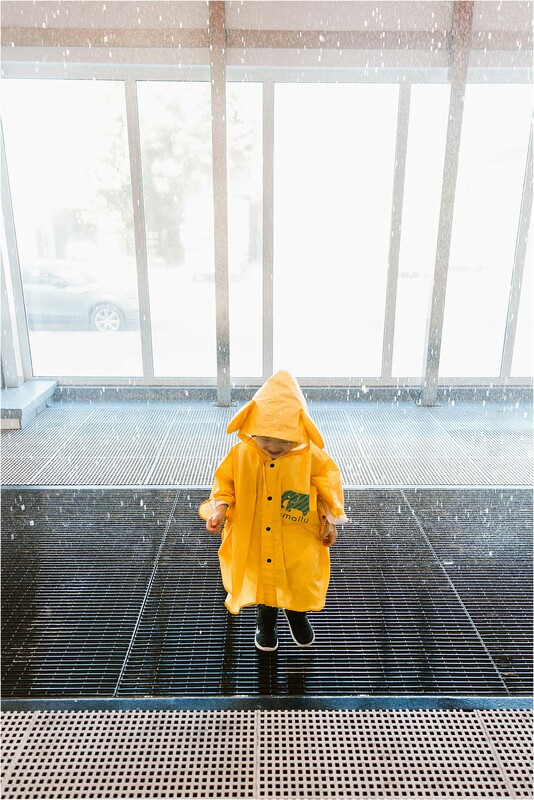 The museum is spacious, clean and safe for kids and parents. 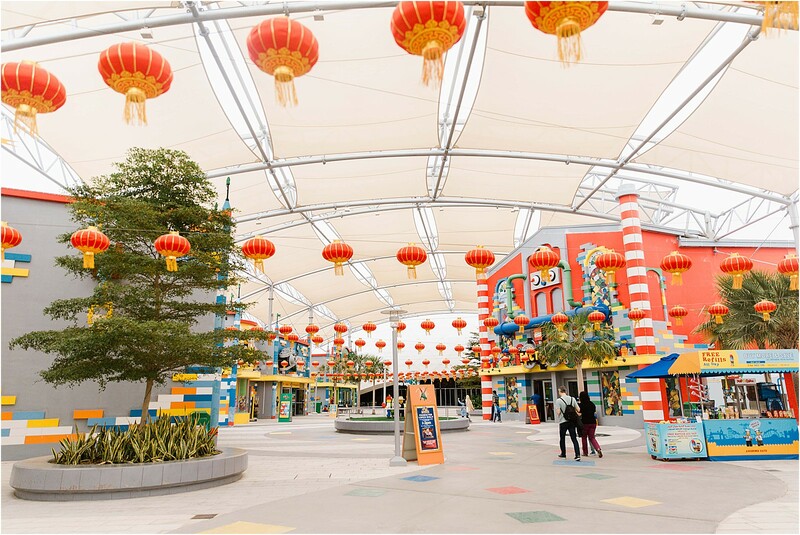 Some of the different areas include Air, Water, Toshi’s Net, Creative Lab, Future Park, Fort Building, Toddler Gallery and Cars & Ramps. 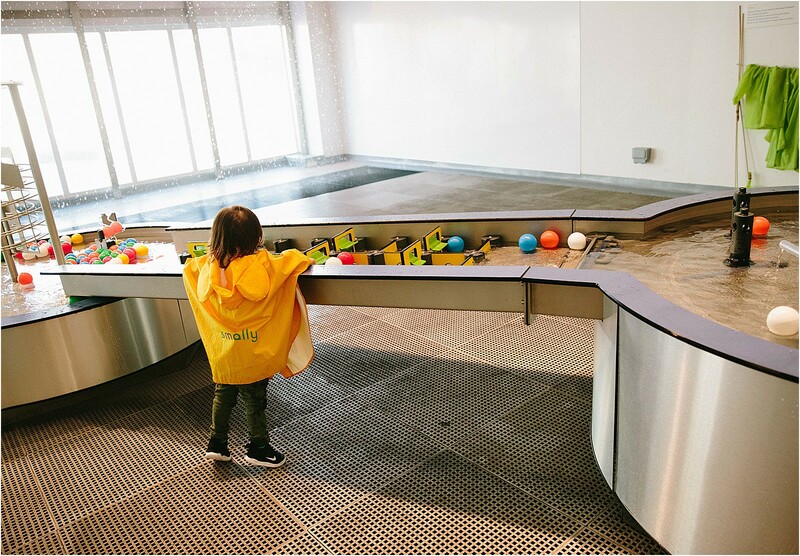 There are over 40 interactive areas for kids to experience and my son had a blast with water play as this is his favorite activity right now. 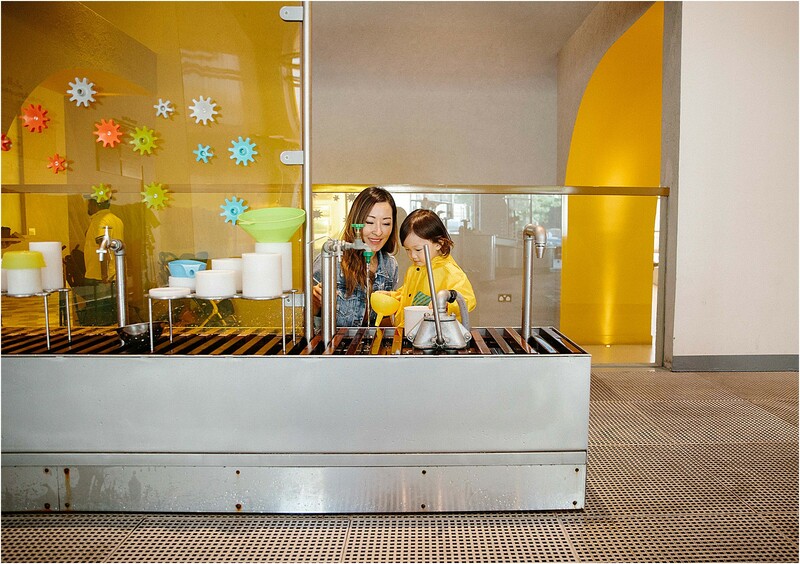 This play museum is so much fun and I wish there was something similar in So Cal. The wonder in my son’s eyes as he engages in imaginative play brings me so much joy and I’m so thankful we got to experience this together in Dubai. 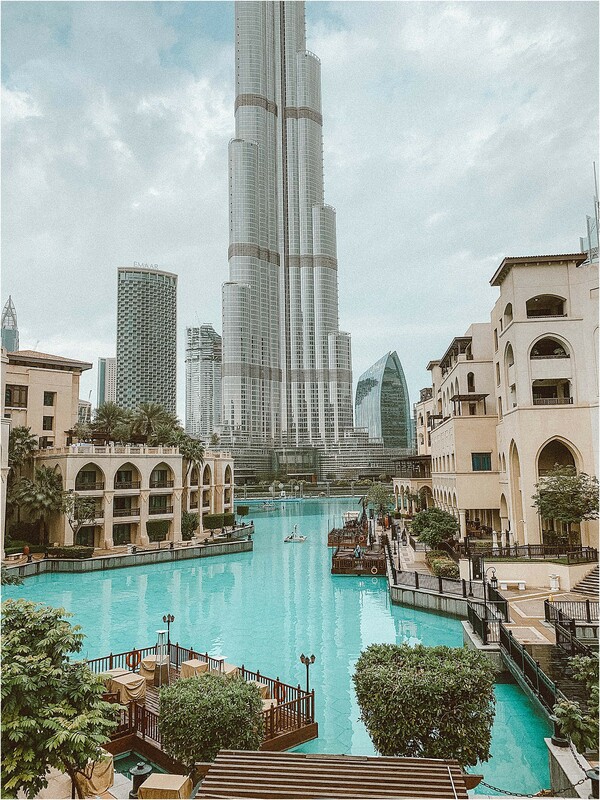 Dubai is truly an one-of-a-kind city because it blends Middle Eastern, European and modern architecture and lifestyle in such a unique and picturesque way. The streets are spotless, the bathrooms are clean and the entire city is safe and family friendly. Everyone speaks English which makes it easy for American tourists to get around and every destination is only an Uber ride away. During my one week stay, I used the Uber app everywhere I go. There are plenty of Uber drivers available and they take no more than 5-10 minutes to come. We had no problem finding a larger vehicle Uber XL for my family of five. All the Uber vehicles are clean, safe and equipped with a phone charger which comes in handy while we’re constantly on the go. All the drivers speak English and make you feel safe so we were able to explore the entire city on our own. 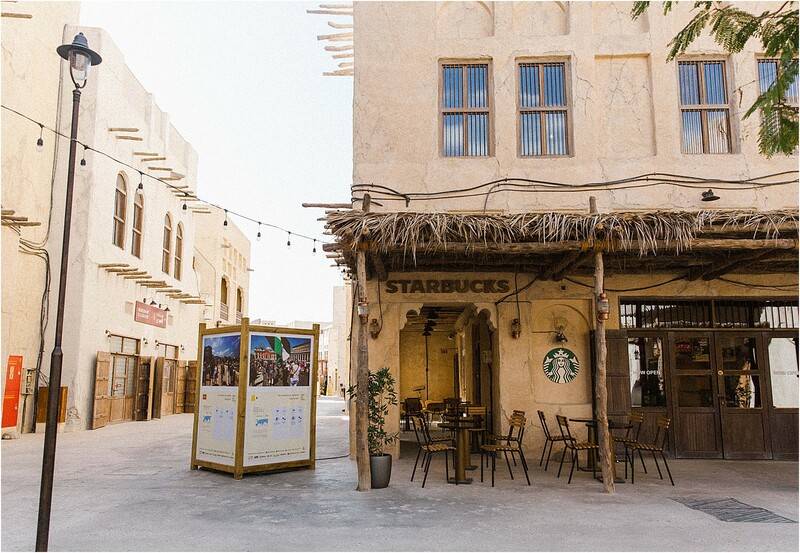 Another favorite aspect about Dubai is that visitors get the best of both worlds- the modern and the old. 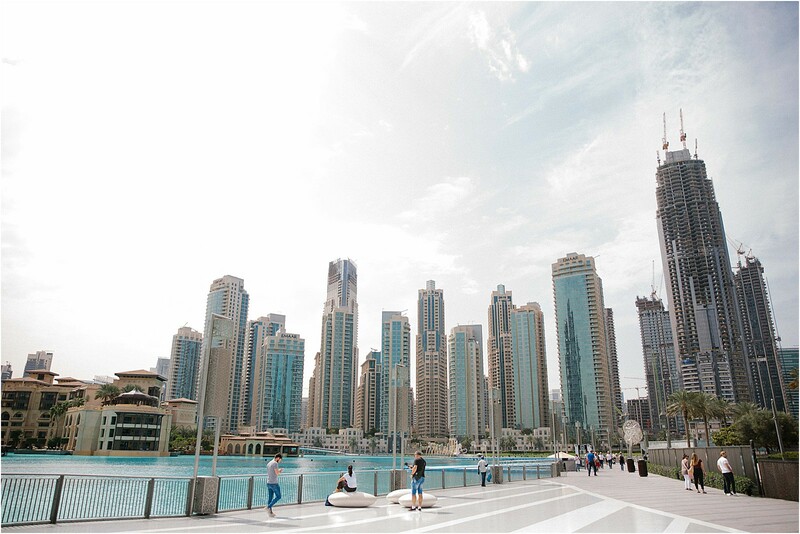 Unlike other popular destinations where only the resorts and tourist attractions are nice while the local areas are unsafe and dirty, Dubai offers both worlds in a safe and clean environment. 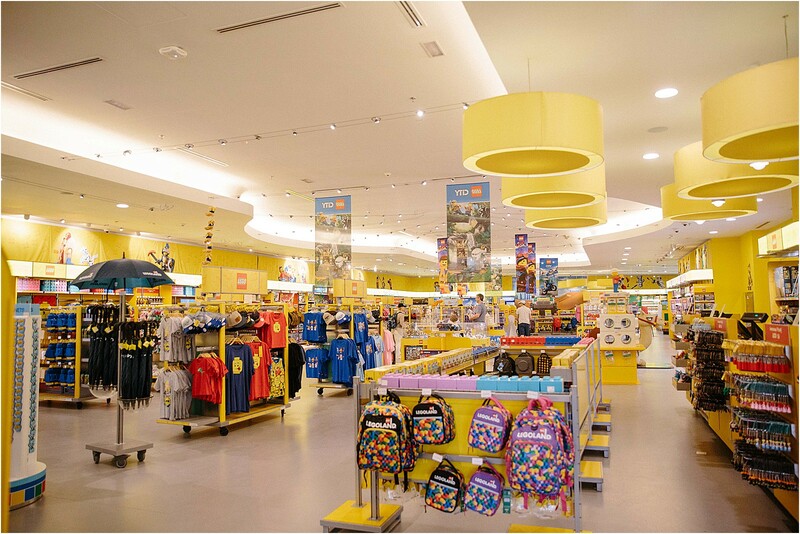 Dubai is a family focused destination where families with young kids are prioritized with common respect. 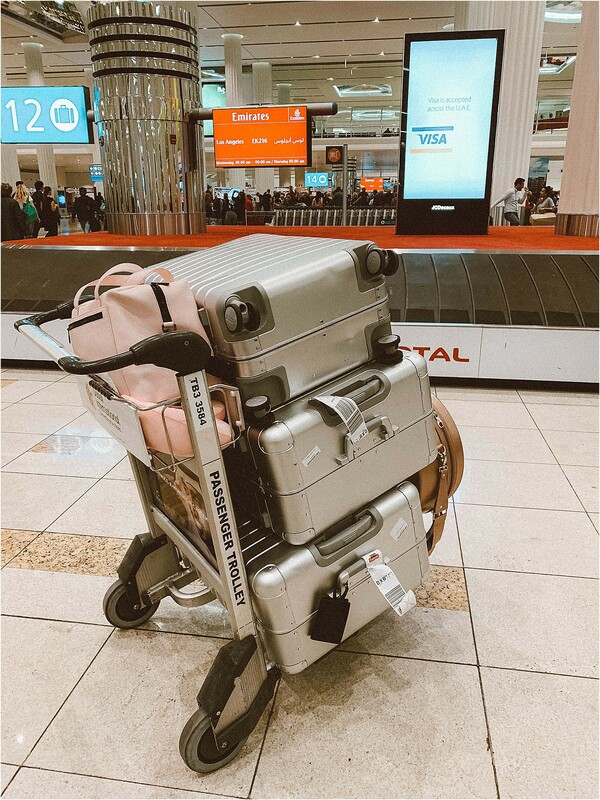 For example at the Dubai International Airport, we were allowed to skip the long line and go through customs faster because we were traveling with kids. On the way back, we were also guided to a family line which was shorter. This was in stark contrast to our experience at LAX. 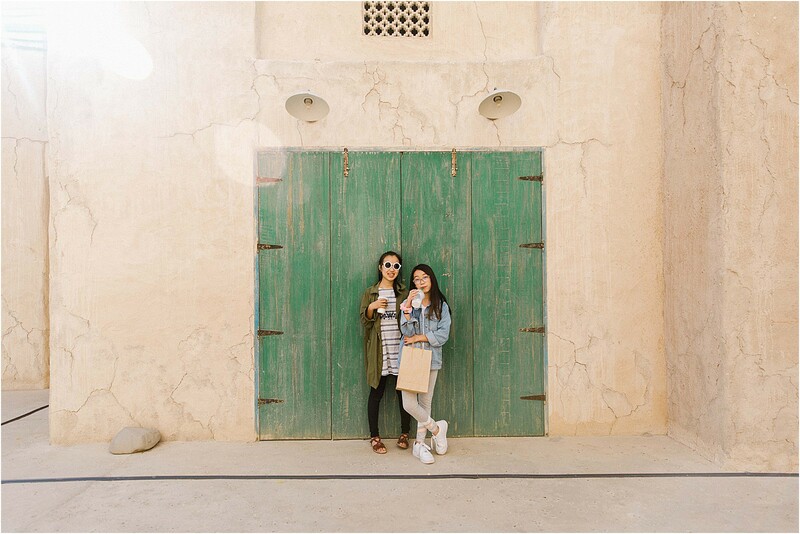 Overall, we had an amazing time in Dubai and can’t wait to be back. 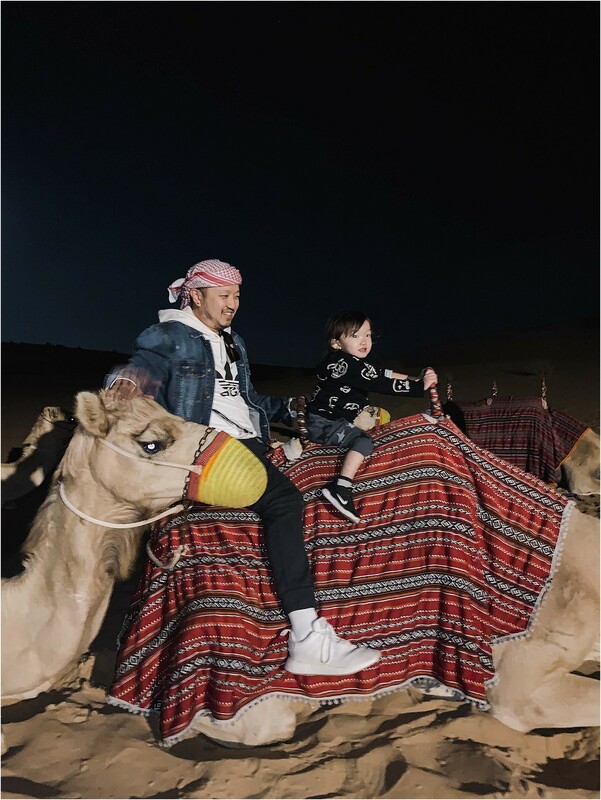 Before this trip I never thought of Dubai as a family friendly destination. 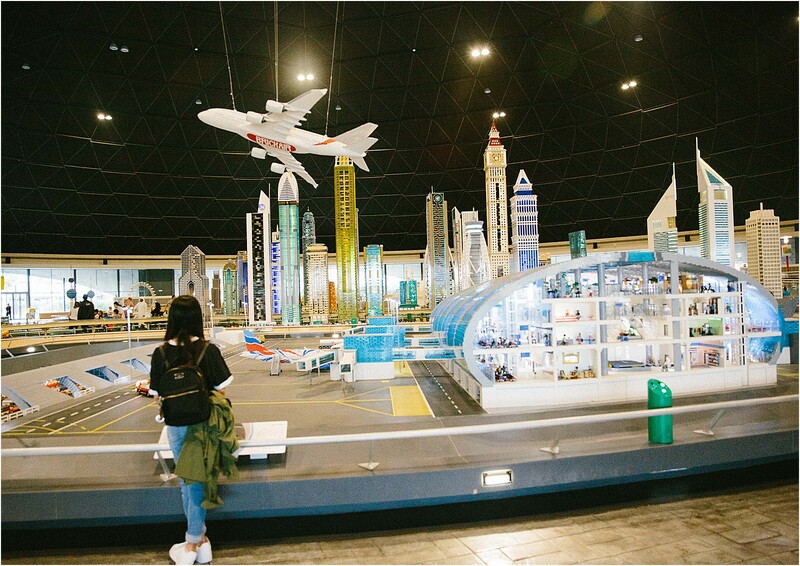 Now I know from firsthand experience that Dubai is THE perfect destination for a family vacation with various family-oriented excursions, museums and experiences. 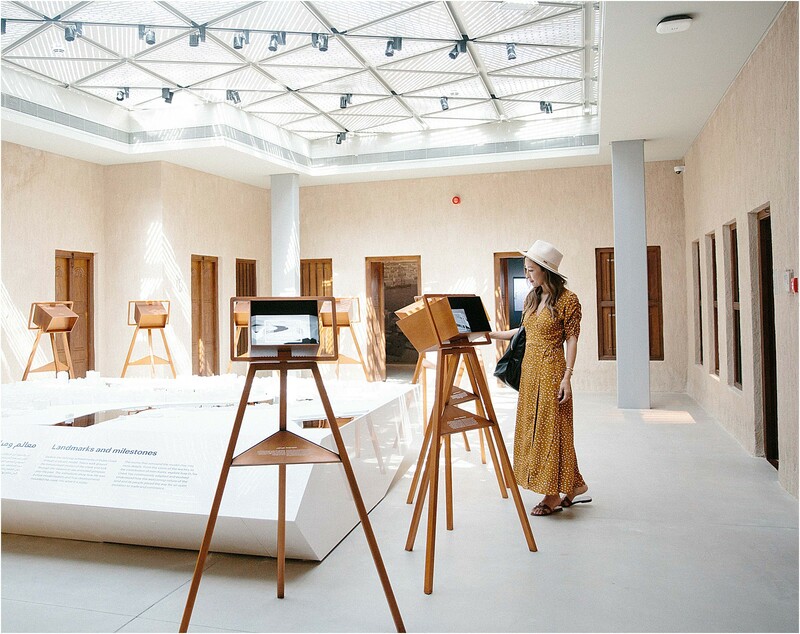 Dubai is not only educational in culture, arts, architecture and technology but also a beautiful desert city with rich soul and history. 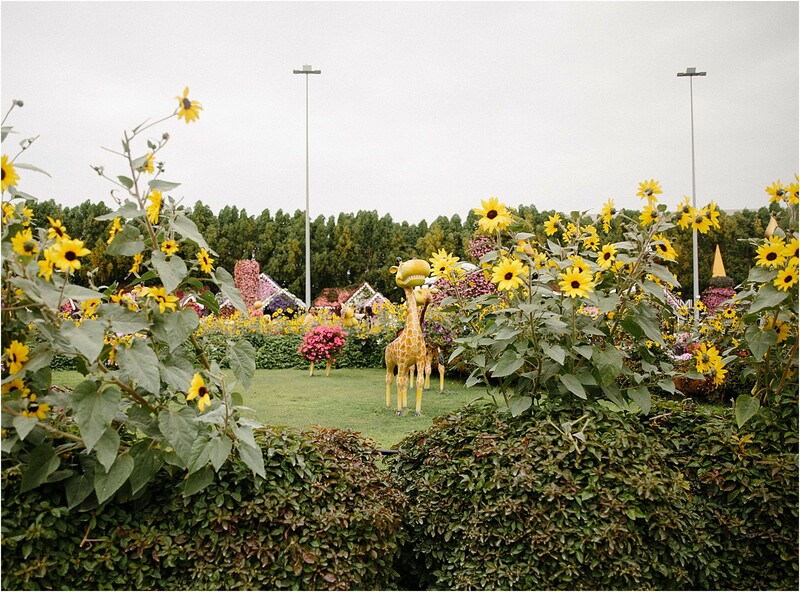 The people are kind and modest, which makes visitors feel safe to explore and immerse themselves in the culture. 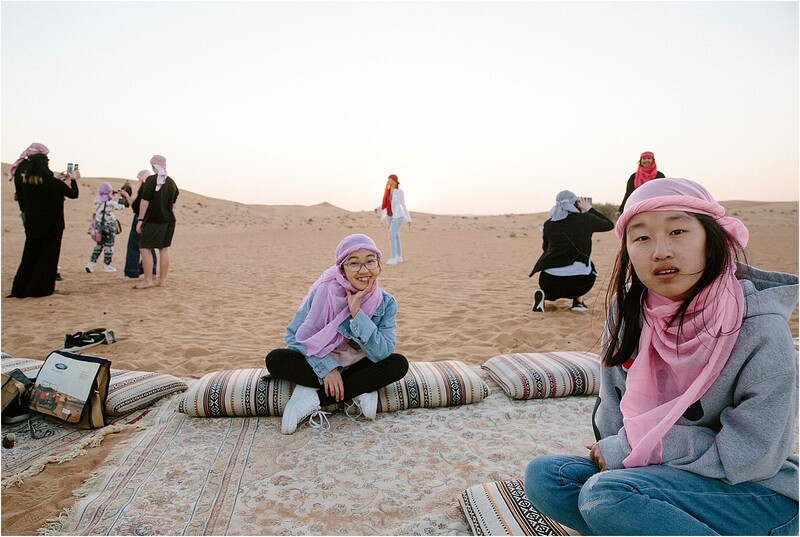 I’m so grateful for this multicultural experience and can’t wait to be back to explore other parts of Dubai with my family. 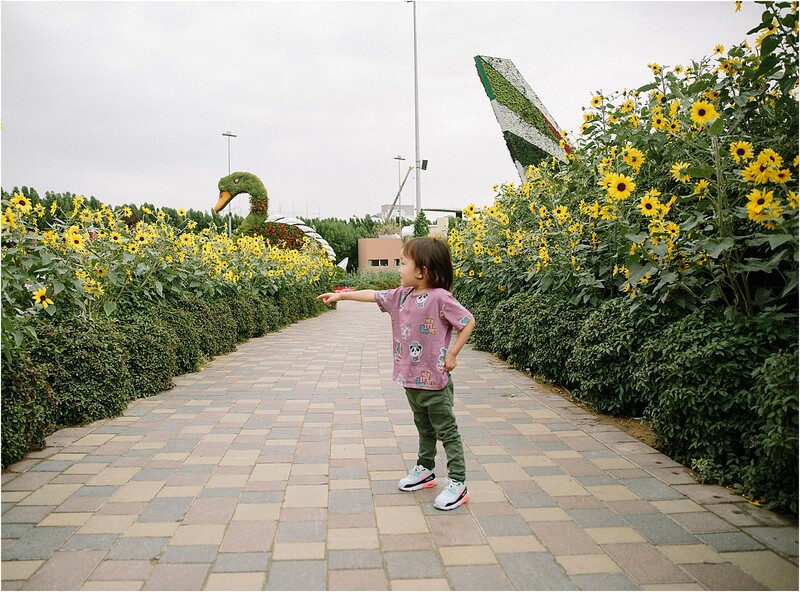 Are you interested in visiting Dubai with your family? 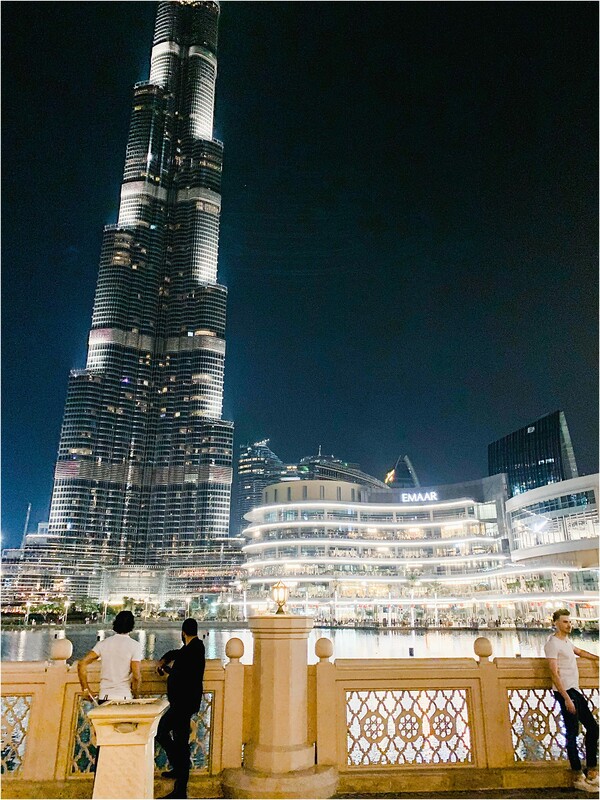 What part of Dubai do you find most fascinating? Please leave your comments and questions below. 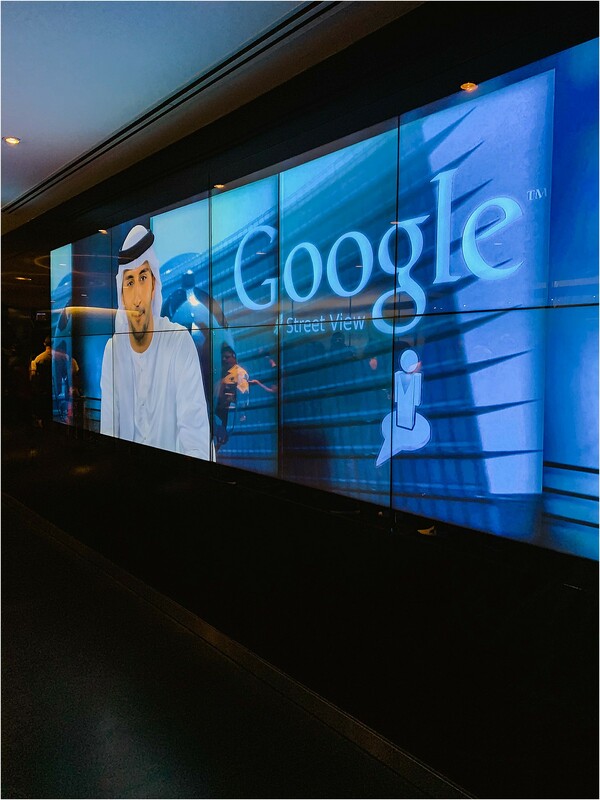 I have never been to dubai, but I hear it is beautiful and truly an amazing experience. the information and pictures of different activities are really informative. i guess i will be adding dubai to my travel bucket list. Great pictures. Makes me want to look into taking a trip there. I’ve heard mixed reviews on dubAi. 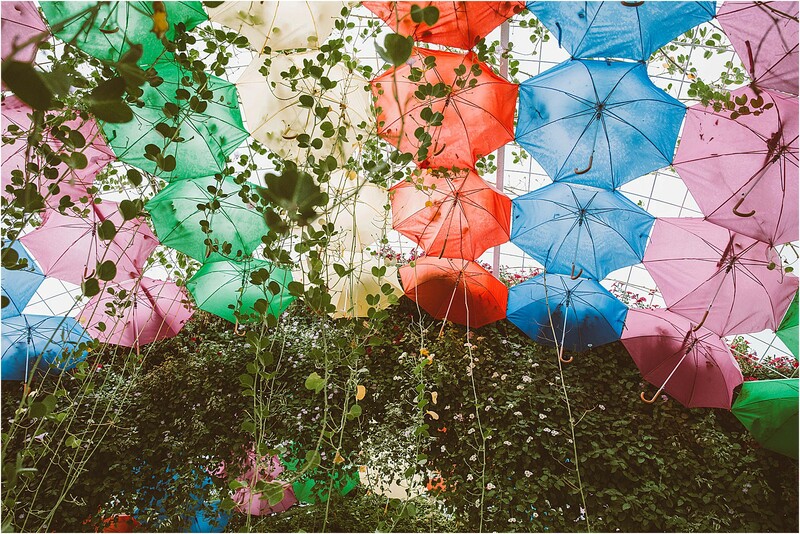 You looked like You had an amazing time. Def going to add it to my “must go” list.